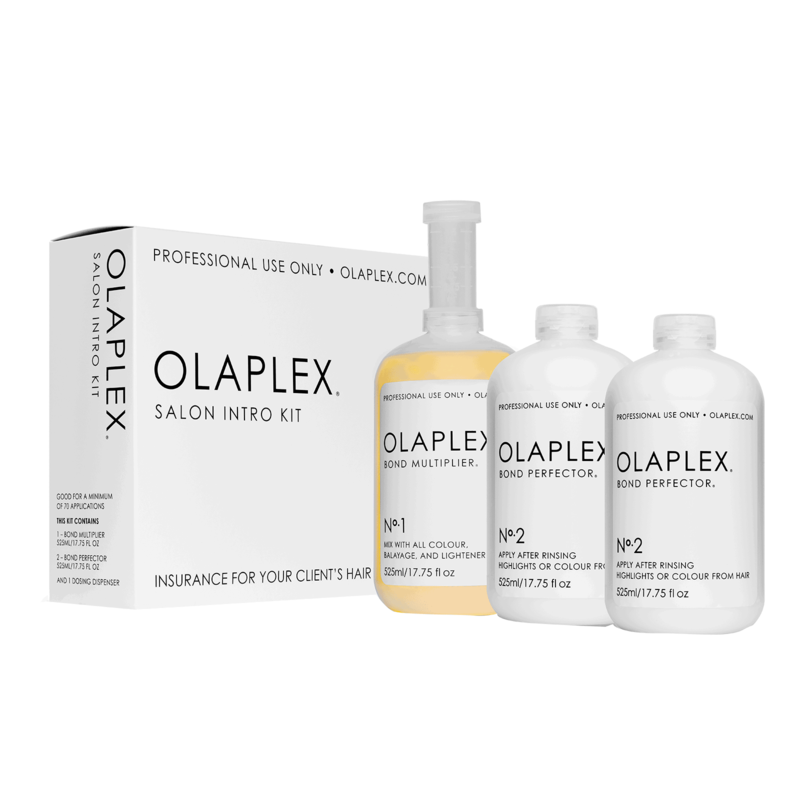 Steps 1 & 2 of the revolutionary, 3-step OLAPLEX professional system in a salon introductory kit. OLAPLEX lets you lighten your client’s hair to levels never thought possible before, without compromising the integrity of the hair. Olaplex is a single ingredient that is added before and after hair color treatments and other chemical services. It promises to preserve the integrity of the hair and essentially multiply the bonds within the hair shaft. 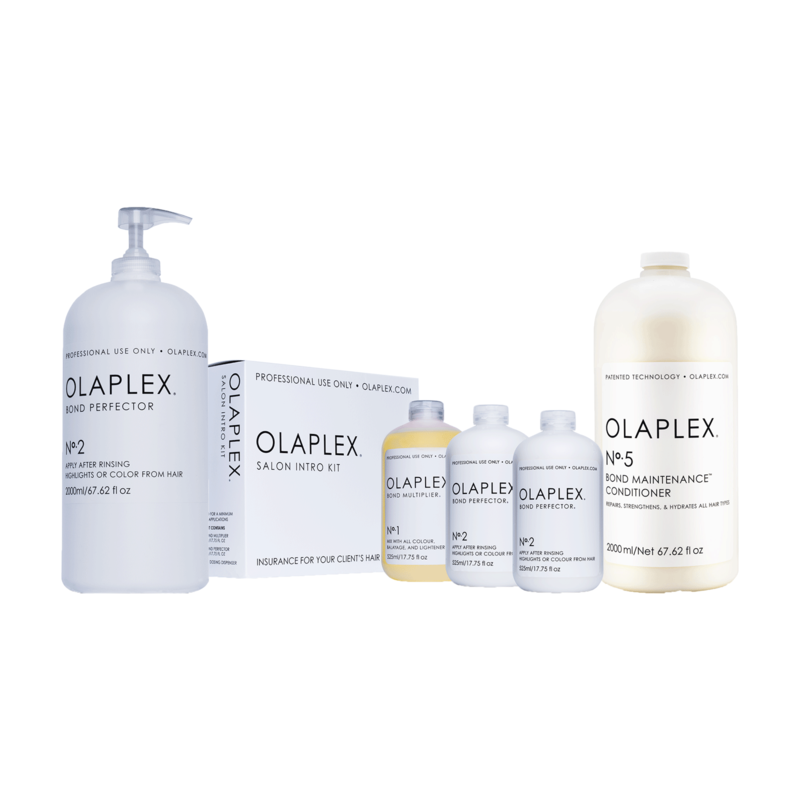 In other words, Olaplex reconnects the broken disulfide sulfur bonds in the hair that were broken down during thermal, mechanical, and chemical services. It is also free of silicone, sulfates, phthalates, DEA, aldehydes, and is never tested on animals. Olaplex No.2 Bond Perfector is a bond multiplier NOT a conditioning treatment. No.2 Bond Perfector is NOT optional, it is absolutely necessary after every single service when using Olaplex as it is a system. No.1 is meant to help mitigate damage during the color, lightening and relaxing process, however it cannot stop all of it. If it did, you would not get a visible result. No.2 is not an activator, neutralizer, sealer or conditioner. No.2 contains the same active ingredient as No.1. No.2 finds more single sulfur hydrogen bonds and cross links them back together without color, lightener or relaxers working against it. 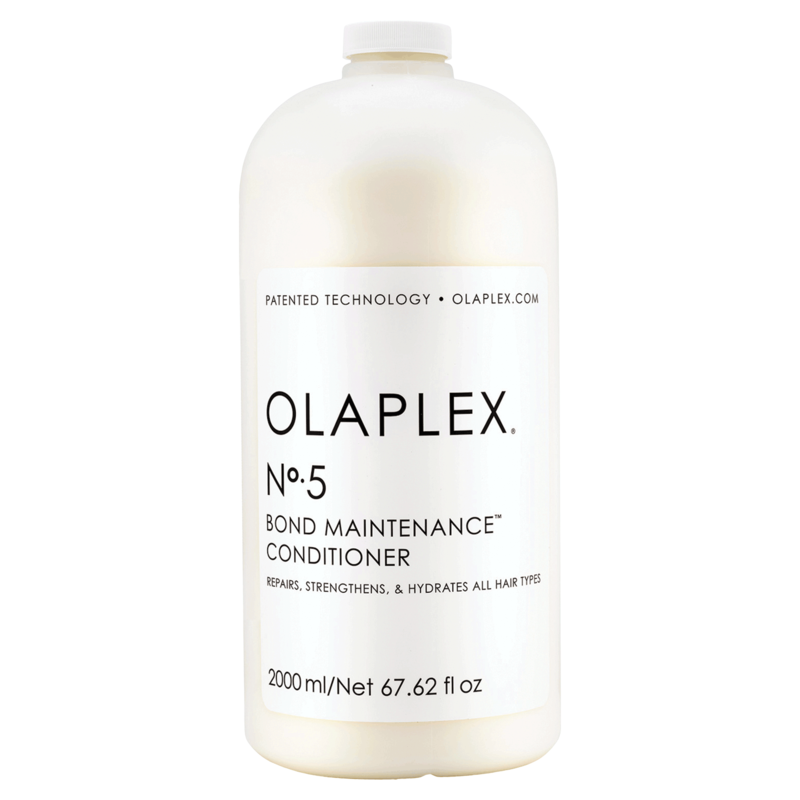 OLAPLEX No 5 Bond Maintenance Conditioner. Formulated with OLAPLEX Bond Building chemistry. Restores, repairs and hydrates without adding excess weight. Eliminates damage and frizz for strong, healthy, shiny hair. Suitable for all hair types.